Much like the previous installments in the franchise, the mixture of action and history grabs the player, drops a sword and pistol into their hand, and crowns you the Assassin in a strange new world. Sail the seven seas, and engage in massive naval battles for your life and gold. 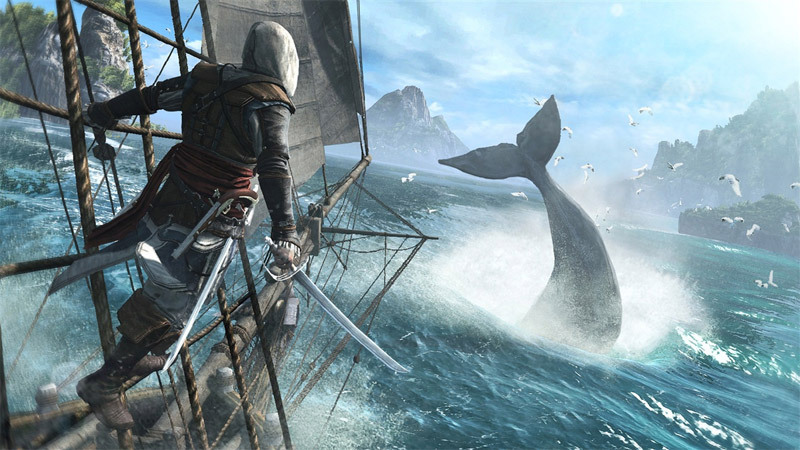 With 50 different locations to explore, each new one will fully immerse the player in a world both inspired and afraid by the piracy of the time. 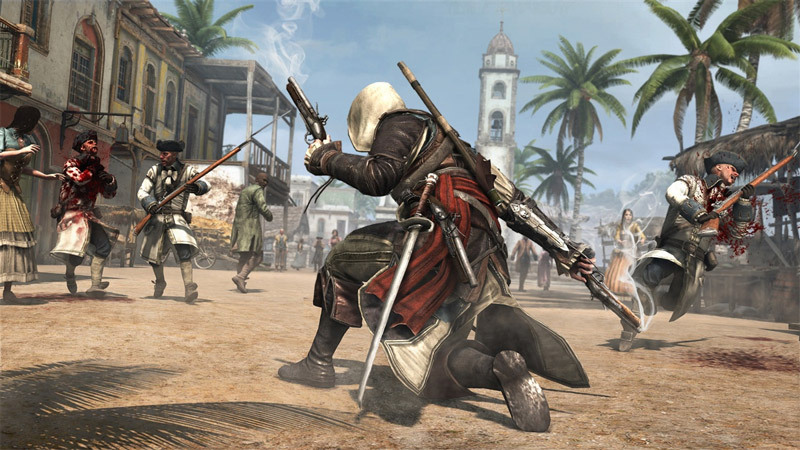 http://www.play-asia.com/assassins-creed-iv-black-flag-paOS-13-49-en-70-66hr-47-cat.html.